Ergonomic and comfortable grip just enjoy your game. Won't block the Map PUBG game controller fit perfectly with 4.5-6.5 inch phones. Configuring the strong springs, perfectly with 4.5" to 6.5" Android or iPhone iOS Smartphones. 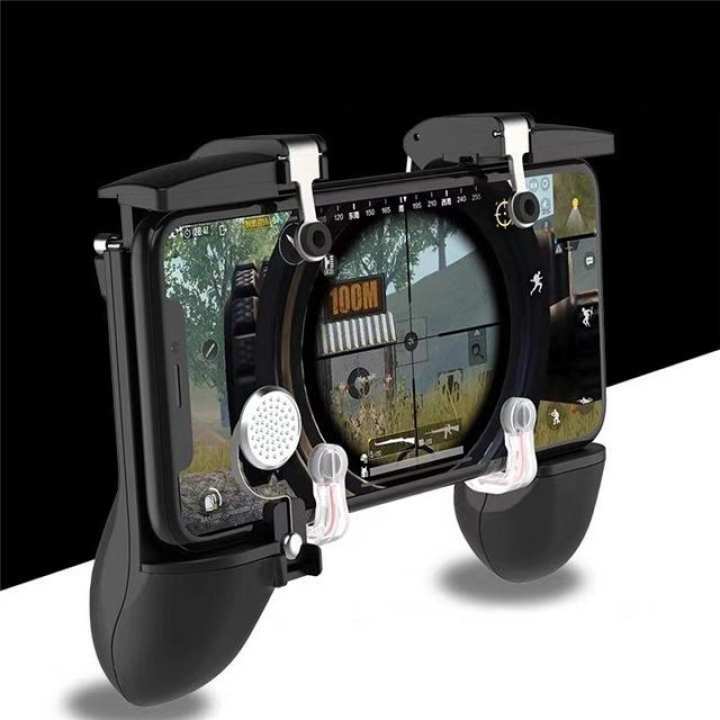 Removable replacement position assist to meet the needs of a variety of games, such as PUBG, Knives Out, Rules of Survival, Survivor Royale, Critical Ops, etc. Winner Winner, Chicken Dinner: How could you simultaneously move, turn, aim and shoot when playing PUBG? Sure you can if you play with this mobile game triggers controllers which not only improving your gaming experience, but also your playing skill. An artifact to make other players consider you are a hax. The item is not working properly! Its not adjusting on my iphone 6s and keep pressing my vol button. The fire button stops working during the game! Highly not recommend and so over priced.